BREA, CA, July 1, 2013, 2013 - AQUATOP Aquatic Supplies, Inc., a Southern California-based manufacturer of aquarium and pond supplies, will unveil their top-of-the line AF Series of UV Canister Filters at this year�s Super Zoo in Las Vegas (booth #2557). Capitalizing on their hugely successful CF Series, the AF Series incorporates ultra high-end features for fresh and saltwater aquariums ranging in size from 60 gallons to 125 gallons. In addition to UV clarification, the multistage filtration systems include one-touch, automatic priming so the AF canister filter begins cycling without the need for siphoning, pumping or priming. The extremely sturdy, high-quality canister housing hides easily inside cabinets; and a powerful, yet barely audible, pump circulates aquarium water through a complex filtration process that includes biological, mechanical, and chemical media. The result is crystal clear water in even the most heavily stocked tanks. Each model in the AF Series comes fully loaded with AQUATOP premium filtration media, including phosphate filter pads impregnated with phosphate-absorbing particles; AQUATOP�s Ceramic Bio-Spheres that allow beneficial bacteria to propagate and grow; activated carbon; and medium-and low-density sponge filters and pads that trap large and small particles of unwanted waste. All models in the series include independently-controlled UV bulbs for added protection against harmful bacteria and unsightly algae. The new glass aquarium systems offer unique designs and include important accessories such as filtration and lighting. Phelps also points out that the AQUATOP Nano Series is customizable so users can add their own filtration systems if they like and that the systems do not include �up-sell� items that retailers depend on for profits, such as gravel, plants, water conditioners, etc. Rounding out the compact aquarium systems is the ST Series, a decorative glass aquarium with filtration, lighting and easy access lid. In addition to space-saving aquarium systems, AQUATOP will unveil several larger setups, including frameless curved aquariums with high clarity glass. Positioning itself to be a one-stop shop for all things aquatic, AQUATOP will showcase a complete line of aquarium and pond products. ORLANDO, FL, FEBRUARY 29, 2012 - AQUATOP Inc., a Southern California-based manufacturer of aquarium and pond supplies, will showcase for the first time a new line of aquatic supplies at this year�s Global Pet Expo in Orlando, FL (Booths #1238). Show attendees will be the first to see AQUATOP�s expanding aquatics product line including the PFE hang-on filters, the PF hang-on filters with UV sterilization, Canister Filters with or without UV, the new CP line of wave makers, aquarium air pumps, submersible glass heaters, and of host of other aquatic products. In addition to aquarium products, AQUATOP will also launch a full line of pond supplies, including submersible and pressurized pumps with UV sterilization. Positioned to become a leading manufacturer of aquarium supplies, AQUATOP closes the gap between high quality aquatic hardware and affordable pricing. 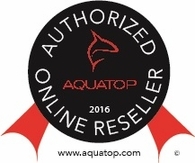 With factory-direct pricing, AQUATOP is a one-stop shop where retailers and fish tank hobbyists can order everything they need quickly, painlessly and at a price they can afford. 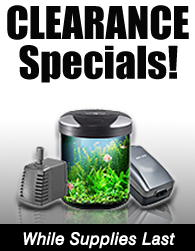 AQUATOP carries an entire line of aquatic supplies, from air blowers to UV lighting and everything in between. AQUATOP will showcase a complete line of aquarium products and exotic livestock at this year�s Super Zoo, September 13-15, 2011. Brea, Calif., July 12, 2011�AQUATOP Inc., a Southern California-based manufacturer of aquarium and pond supplies, will exhibit at this year�s Super Zoo in Mandalay Bay Las Vegas (Booths #1352/1353). The company�s first tradeshow since it began in 2009, AQUATOP will display filtration, UV sterilization, heating, lighting and other products as well their exotic goldfish and various livestock. Positioned to become one of the world�s leading manufacturers of aquarium supplies, AQUATOP closes the gap between high quality aquatic hardware and affordable pricing. 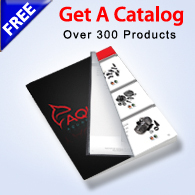 With factory-direct pricing, AQUATOP is a one-stop shop where retailers and fish tank hobbyists can order everything they need quickly, painlessly and at a price they can afford. AQUATOP carries an entire line of aquatic supplies, from air blowers to UV lighting and everything in between. Designed in a state-of-the-art facility based in Southern California, AQUATOP products are manufactured by some of the best overseas factories in the world. AQUATOP�s Livestock is imported directly from Shanghai, China and housed in our state-of-the-art fish farm facility. Our mission is to breathe new life into an industry stifled by a lack of high quality livestock and improper collecting habits. AQUATOP offers many different species of livestock, including Black Ranchu and Red Oranda, Tetra, Silver Arowana and Discus. Part of the company�s popular Pro Series, the OSD-AMP120 amplifier maintains key features and a budget-friendly price tag. Brea, Calif., February 21, 2011�AQUATOP Inc., a Southern California-based manufacturer of aquarium and pond supplies, is officially shipping the LEDC-21 and LEDC-36RGB LED lights. Both models offer the energy savings and high lumen output of LED technology as well as extended longevity, low temperature output, and a uniform, wide distribution of light. Priced at only $16.95, the AQUATOP LEDC-21 is a convenient clip-on light that includes 21 powerful LEDs. Each light penetrates deep into aquatic scenery and produces vibrant colors and shimmer effects. The unique hood design allows wide coverage, while three blue LED lights can be activated for a mesmerizing moonlight effect. Priced at only $27.95 and available in a black finish, the AQUATOP LEDC-36 RGB includes high lumen output and energy savings and adds changeable color schemes. With a flip of a switch, aquarists can choose natural daylight, or customize the lighting display by mixing and matching the red, green, and blue LEDs. Like the LEDC-21, the LEDC-36RBG is compact and easy to install and can be adjusted to your mood setting. Both models are suitable for fresh or saltwater tanks and have a flexible arm that can move forward and backwards as well as side-to-side.